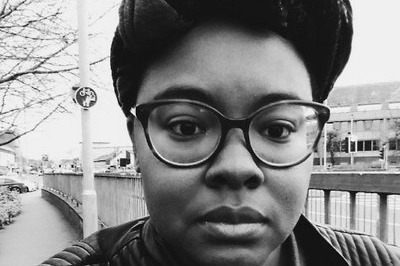 Rivers Solomon is one of the nominees for this year's Campbell Award for Best New Writer. They live in Cambridge, England, so the cost of coming to the Hugo award ceremony in San Jose is a significant barrier. The thing about the Cambell Award is that, unlike the Hugo Awards, each writer is only eligible for it twice and at the very beginning of their career. This is a time when they are the most vulnerable as a writer and also when a boost like a nomination can do the most for their career. It is very easy to overlook how expensive attending a convention is for someone at the beginning of their career. In addition to these costs, there is the unspoken one of taking time off work, which is, again, harder for a young writer. But... we have the internet and it is full of wonderful people who can help support new voices in Science Fiction and Fantasy. Rivers Solomon is a dyke, a Trekkie, a wannabe cyborg queen, a trash princex, a communist, a butch, a femme, a feminist, a she-beast, a rootworker, a mother, a daughter, a diabetic, and a refugee of the Trans-Atlantic Slave Trade. They write about life in the margins, where they are firmly at home. Rivers' debut novel, AN UNKINDNESS OF GHOSTS —is "a science fiction meditation on trans-generational trauma, race, and identity." Like much of Rivers' work, the book blends speculative and literary elements. Genre, like gender, is a social construct, but when pressed, Rivers considers their work in the tradition of afrofuturism. Though currently based in Cambridge, UK, where they live with their family, Rivers is originally from the United States. There, they received their BA in Comparative Studies in Race and Ethnicity from Stanford University in California and an MFA in Fiction Writing from the Michener Center for Writers at the University of Texas at Austin. They grew up in California, Indiana, Texas, and New York but spent much of their childhood wishing the mothership might come save them. Their literary influences include Ursula Le Guin, Octavia Butler, Alice Walker, Zora Neale Hurston, Ray Bradbury, Jean Toomer, Doris Lessing, and countless more. What happens if we raise more? ​That money will go towards defraying the costs of other finalists. What is the Campbell Award for Best New Writer? The John W. Campbell Award for Best New Writer is an award given annually to the best new writer whose first professional work of science fiction or fantasy was published within the two previous calendar years. Wait. We're funding fancy clothes? Yes, we are. Because you know a good way for a new writer's imposter syndrome to be worse? Feeling underdressed. Edited to add for GoFundMe compliance. I'm a former Campbell award winner and know the benefit of attending this ceremony as a nominee. In truth, I've never met Rivers in real life. I got involved in this because I saw there was a need and asked them if I could help. As soon as it became clear that this would fund, I purchased Rivers's plane ticket and hotel room. We are doing the same for the other two nominees, rather than waiting for the donations to clear GoFundMe. Once that happens, they will be withdrawn in my name. The funds not used to help Rivers, and the other two Campbell nominees who have requested assistance, will be sent to WorldCon to establish a Finalists' Travel Assitance Fund. Help get two more finalists to the ceremony! Folks, we've got two additional Campbell finalists who could use a boost getting to the Hugos. I've got a form set up for additional finalists. Let's see how many we can get to the ceremony. Goal! Now we've got the seed money for a Finalist's Travel Assistance fund. You've accomplished the goal of getting Rivers to WorldCon and the Hugo Ceremony! You're amazing! So what happens now? They are not the only finalist with a long distance to travel. 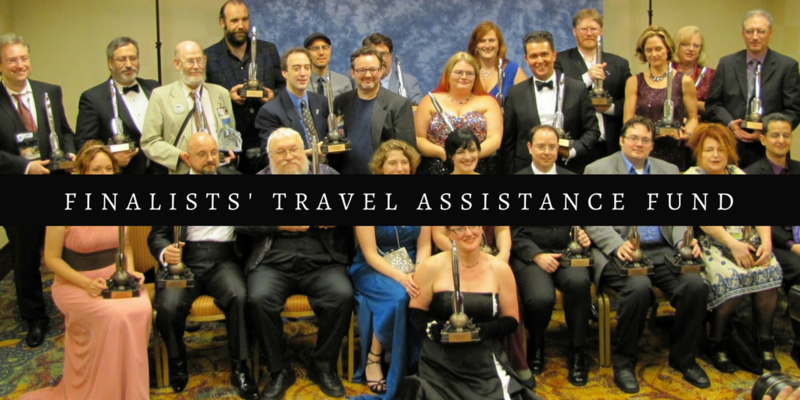 So, the San Jose WorldCon has agreed to help create a Finalist Travel Assistance fund. Everything above the original goal will go toward helping defray the costs of additional finalists. Woot! It's been less than 24 hours and we are already past the halfway point. Thank you to everyone who is contributing and especially to Hank Green who pitched in with matching donations that came in between 8 and 9 Central today.